To tell you the truth, I haven’t been really a fan of rap music. Aside from Lecrae (who’s on a whole other level lyrically and creatively), there haven’t been a whole other of rap artists who have stuck out in my mind. Not that I don’t appreciate their artistry- objectively I reckon rap and hip-hop artists are one of the most creative and ingenious songwriters ever, generally speaking. It’s just that I haven’t been captivated by a rap song in a while. Well that all changed this year, when I heard “Gotta Live” from Tedashii and Jordan Feliz. I guess you all know about Jordan Feliz, and if you don’t, you can check out our reviews of Future and The River. But let me just quickly give you a run down on Tedashii. A veteran rapper on Reach Records (home of artists like KB, Trip Lee, Andy Mineo, GAWVI, and Lecrae), Tedashii has recorded a mountain of hip hop and rap hits that I have never heard about, but songs that I gladly would check out in a heartbeat now. 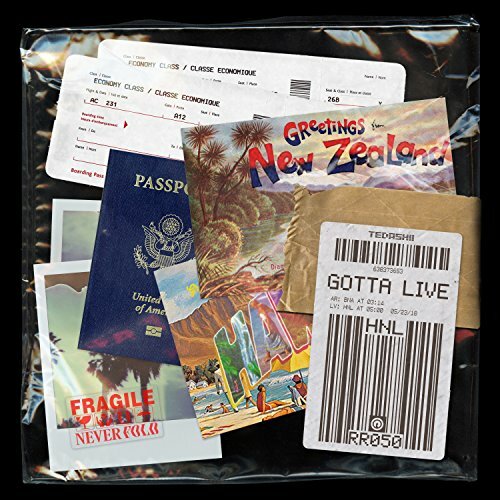 “Gotta Live” is one of the catchiest songs I’ve ever heard this year, and the combination of rap and pop is quite remarkable. With this song one of 5 unnamed singles to be released on Tedashii’s new studio album to be released sometime this year, Tedashii has recorded something special here, as he digs deep and confronts his feelings over many loved ones’ dying (including his mother and his son), concluding that because of he hope and security we have in Jesus, we just have to rely on and lean into Him, and have to want to live, and live well. We all only have one life, and we owe it to everyone around us and those who have gone before us to live the best life we can and live a life that pleases God. Sure, we can miss our loved ones like crazy, but not wanting to live is a feeling that comes from the devil. So I guess you could say that this guitar led 3 minute melody is a direct response to the devil’s lies, as both Jordan and Tedashii speak Jesus’ truth into our lives, that ‘…even when my light burns low, I can never lose my hope, I’ve been down this road before, now I know which way to go, you can try to drag me down, but I’ll be living in the clouds, everybody has their doubts but you can’t stop now…’. “’Gotta Live’ is a song about perseverance, and the idea that there is so much life to be lived that we shouldn’t let trials and hardships blind us to that fact, no matter how bad they seem. It’s a song to encourage people to live, escape, have fun, and find freedom knowing that they have life another day and that’s proof that it’s worth the living. Hard times will come—even times that make you want to give up. But life is meant to be lived as the gift from God that it is and we should see that as a reason to keep going and never fold.” A song that will certainly blow up on Christian radio (maybe all formats! ), Jordan and Tedashii are to be extremely proud of themselves with this infectious and cheerful collaboration. Because of this song, I now have a bit more of an appreciation for rap (Tedashii is exemplary here!) and a bit of an interest- thanks guys for igniting the spark inside of me of my appreciation of a genre that isn’t that familiar! And now as we wait until Tedashii’s new album releases soon, let’s replay “Gotta Live”. And dance around the house proclaiming that we can live fully with Jesus Christ with and in us. Well done guys for one of today’s most inspiring melodies!